Continuing our "how to use TOGAF" poster series from EA expert Roger Evernden. In this poster we give tips and advice on how to use TOGAF when you are setting up EA governance. 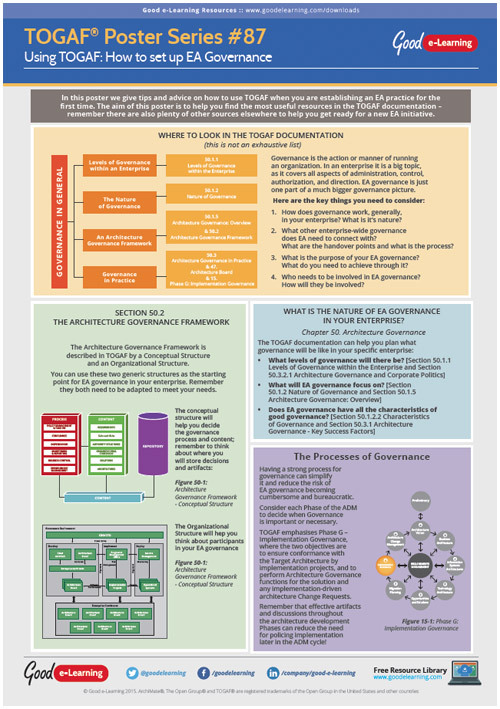 The aim of this poster is to help you find the most useful resources in the TOGAF documentation - remember there are also plenty of other sources elsewhere that cover EA governance and how to manage it.